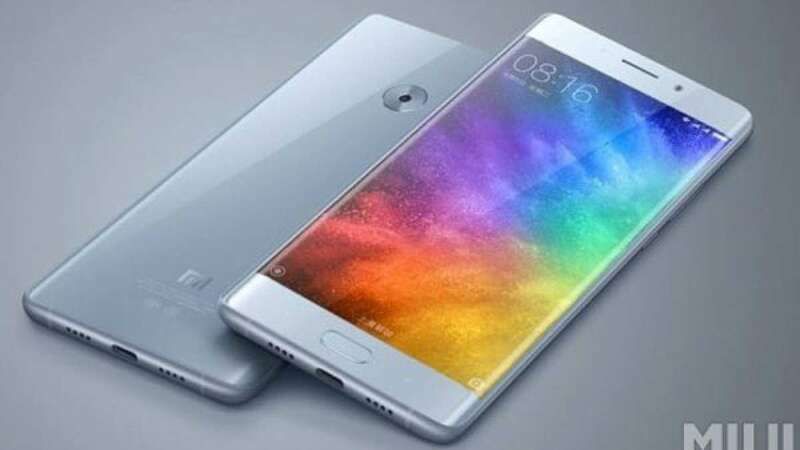 New Delhi : Xiaomi has now officially launched its much talked about phone Mi Note 2 on Tuesday. The phablet is a grand mix of specifications and features running a notch ahead of Samsung’s latest smartphone Galaxy Note 7. Mi Note 2 sports a stylish dual-curved design on both the front and the back. Playing exactly on the lines of Samsung's Galaxy Note, Xiaomi's latest device comes with a 5.7-inch OLED, panel, curved on both sides. The curved panel is a Full HD panel rather than being a qHD as the rumours about the phone were claiming. With a 77.2% screen to body ration, the Mi Note 2 appears quite impressive on renders and there is little to frown at in the rest of the specs too. The device has been powered with Qualcomm's latest Snapdragon 821 SoC with a max clock speed of 2.35GHz. To take everyone by surprise it also comes with 6GB of LPDDR4 RAM and as much as 128 GB ROM option. Another variant with 4GB RAM and 64 GB storage will also be available. On Camera, the company ditched trendy dual-camera setup. Instead, gave it an eye of 22.56MP Sony IMX318 Exmor sensor with a f/2.0 lens. The device will be capable of shooting 4K videos. A 8MP camera has been given in front for the crystal clear selfies. What is interesting about front camera is its auto focus technology which is not common in the market. The Xiaomi Mi Note 2 is well equipped in the connectivity department as well. It offers global LTE support across 6 network types and a total of 37 bands. High precision GPS module has also been fixed inside the device to keep you located almost all the time. Other interesting features on the Mi Note 2 include a high-quality 24-bit / 192kHZ DAC. And last, but not least, the phablet is powered by a hefty 4070 mAh battery pack, equipped with Quick Charge 3.0. The company has aggressively priced the device to ensure it beats its competitors. The top of the line model has 6GB of RAM and 128GB of storage has been priced at CNY 3299 ($485). And the other 4GB plus 64GB model for CNY 2799 ($415).